From comments on the bomb blast that occurred outside a church in Jos yesterday to thoughts on the just concluded Arise Magazine fashion week, check out the top tweets from yesterday. @Funmilola: You get a much higher quality of life 4 much less in many “ungiant” African countries. The Norfolk in Nairobi is pardon d French, f**king fantastic. @Ebuka: The ‘settlers vs indigenes’ battle has been at the heart of the problems in Plateau State… St. Finbarr is the Patron Saint of Immigrants! @bellanaijastyle: #AMFW2012 is officially over! Kudos to all the designers, models, and team that put this together! And everyone who came! @BabatundeJnr: This is not the nation you want your child to see. This is not the nation you want your child to call his/her own..Not a nation of bomb blast. @piersmorgan: Time #Arsenal competed again. The market’s changed, so must we. Fed up with losing our top players all the time. @Persie_Official must stay. 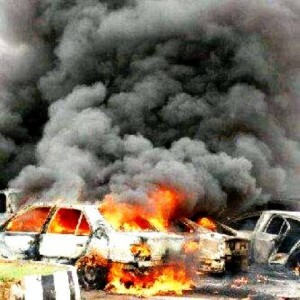 @rosanwo: GEJ CONDEMNS LATEST ATTACK ON CHURCH IN JOS, SAYS NIGERIA IS WINNING THE WAR AGAINT TERROR. What if we are losing? @Trendeh: Instagram announces Android Version? 4 for you Android! You go Android! & none for Blackberry, bye.